Free, open to the public, and trans women positive. feature some of the boldest, most original and creative examples of micropublishing. There will also be zine readings, a workshop from Topside Press, a hangout space and a quiet room. 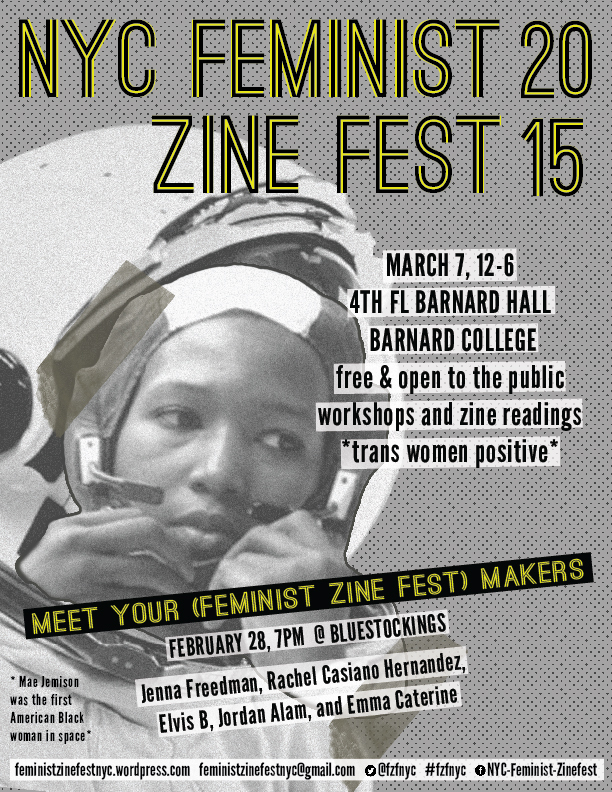 The event is organized by Barnard’s zine librarian Jenna Freedman, Jordan Alam ’13, Feminist Zine Fest cofounder Elvis B., Emma Caterine, and Rachel Casiano Hernandez.